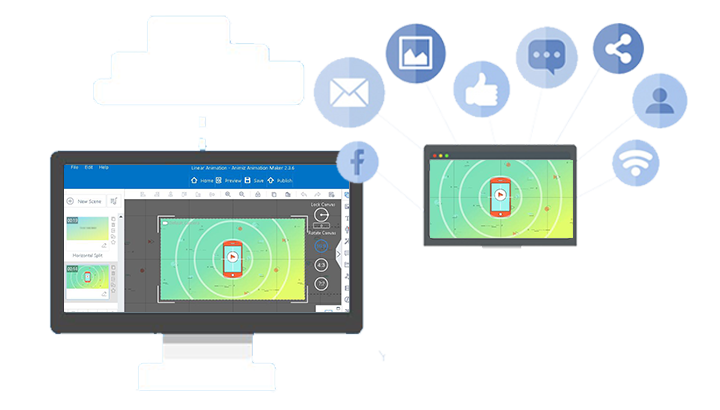 Animiz is the best animated video presentation maker that brings professional video presentations within everyone's reach. Affordable animation creating tool for everyone. On the left side, you will see the scenes which. On the right side, you can find kinds of options for you to insert built-in elements, upload elements and edit elements' property. On the central part, you can see the canvas where all elements are placed. On the top side, this animated video presentation maker offers the possibility to preview or publish your video presentation. 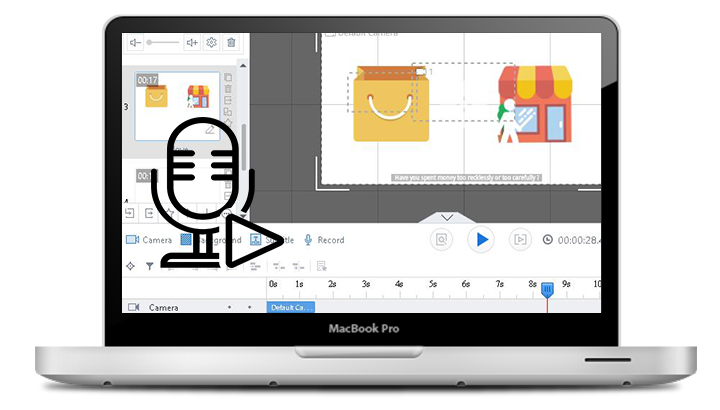 Animiz has a built-in advanced audio recording tool. You can use this tool to record any sound from audio input. Connect a microphone to your computer as the input device. Then click "Record" to start recording a good audio for your video presentation. You can press the stop button to finish your recording at any time. You are able to publish the video presentation to the cloud, giving an easy access to those who visits the website of Animiz. After published to the Cloud, your video presentation can also be shared on social networks via the link or QR code. If you publish the work as a local video file, you can also get your video presentation visible to youtube users by uploading it. 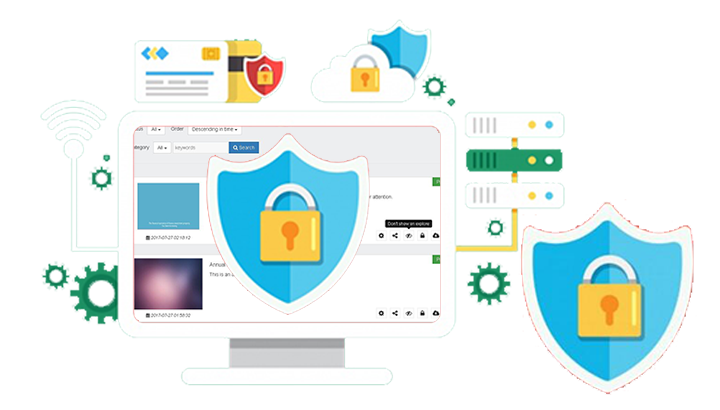 This animated video presentation maker gives you the ability to set the privacy of your published work. Visit the gallery of your works on the website of Animiz and find the eye icon. Click this icon to make your published video presentation private. That's to say, visitors of Animiz can not find your video presentation on the explore page of Animiz.